6'9" x 19 1/4" x 2 7/16", deep single concave. 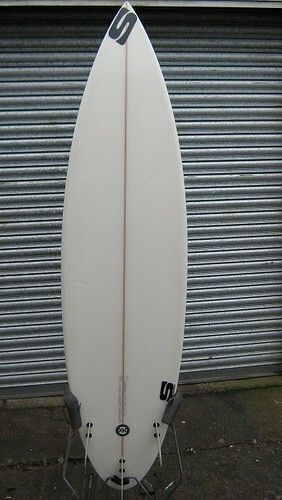 Board is in Redwood Surf Shop, Croyde. 01271 890999 Ask for Nick. Don't PM me or ask me questions in this thread - speak to Nick. Last edited by Archy_is_God on Tue Jan 22, 2013 11:19 am, edited 1 time in total. Re: Simon Anderson semigun 6'9"
Close offers may be taken, chaps. Winter's upon us.... don't be undergunned on those odd occasions that matter.